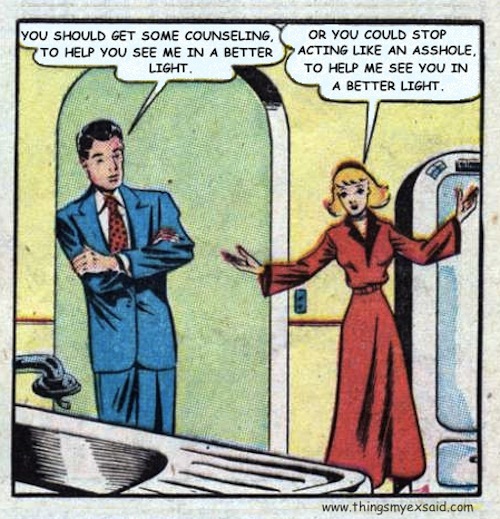 Because when somebody else seeks counseling, it’s all about you. Anyone else thinking of the shrink Don Draper hires for Sally in Mad Men? My advice would be not to take any recommendations from this guy.